I was quite saddened to hear of Mark Hollis' passing. 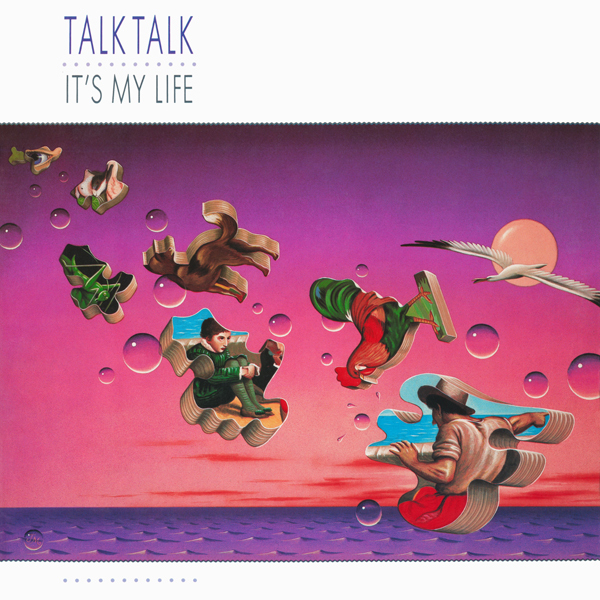 As the frontman of Talk Talk, his voice was the extraordinary foundation upon which his group's sound was built, a boundlessly expressive well of understated emotion, passion and burning blue soul. It was a sound that got me through some rough times growing up, wide-open as it was to complex experiences and emotions that the world throws at all lonely souls, buffeted back and forth by the tides of time and accompanying tribulations free of charge. Talk Talk started life as a sort of synth-inflected pop group. I say sort of because from the beginning there was nothing conventional about them. I'd often hear them lumped in with new romantics like Duran Duran and Spandau Ballet,1 but there was a darkness and depth to their music from the very beginning that placed them more alongside groups like Depeche Mode, Tears For Fears circa The Hurting and A.R. Kane than anything else. However, this being only 1982, Depeche Mode was still recording chipper synth pop ditties, The Hurting wouldn't come out for another year and A.R. 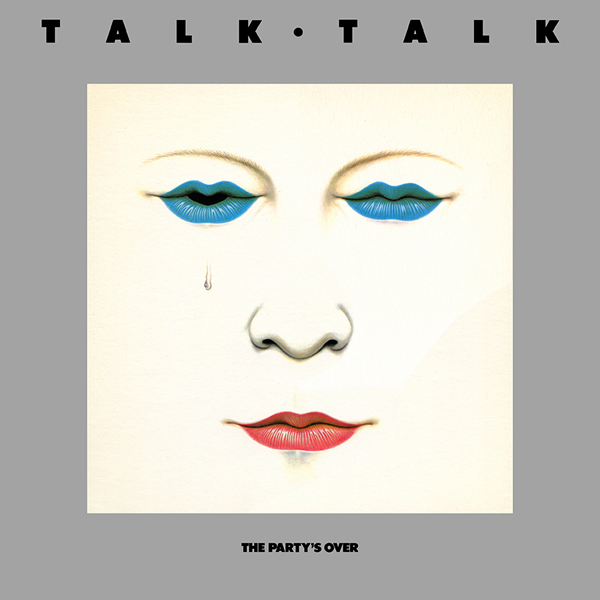 Kane were still half a decade away from their first record... which marks Talk Talk's debut out as pioneering from the start. From day one, there was a gravity to Talk Talk's music, a natural force to be reckoned with. Everything here is imbued with a widescreen, cinematic quality, as if it were the soundtrack to a film happening in your mind. Chart-troubling tunes like Today and Talk Talk bear this out on the dancefloor, with booming rhythms and oceanic synths soaring across painted skies as Hollis' vocals drive through it all like a low-frequency vision blurred in waves of confused emotion. His voice is deep in every sense of the word: low in register, encompassing vast emotion, and cloaking cryptic meaning beneath a blurred painting in sound. ...given that the title track of their sophomore record was no stranger to the proto-house dancefloors of the Muzic Box and the Paradise Garage, expanding the mood of the debut's floor-fillers into ever more surreal terrain. The sleeve art above gives an idea of what to expect,2 mirroring the fragments and strange sounds pealing from the tune in every direction like the cry of a thousand distant birds. Indeed, there's sounds on these records that I can't even begin to guess where they came from. Such A Shame similarly grooves adrift in an ocean of sound, its great synths smeared in sadness against that mournful Hollis croon, before the counterpoint sequence echoes the sentiment with just a glimmer of hope. Like The Party's Over, it's a firm favorite. In fact, the two songs seem to share a similar mood, with Such A Shame the understated response by a group two years older and wiser. I've often thought both tunes veered into peak-era Derrick May territory with their icy strings, smeared synth stylings and undeniably emotive thrust. The alien dislocation of techno is but a whisper away. Not that The Colour Of Spring is where the band goes tropical or anything, but you do begin to glimpse the two prevailing trends in the band's music: an undeniable drift toward a more organic (but no less strange) sound, and an ever deeper plunge into abstraction. This is where the group's knack for left field pop hooks is married to a loose, almost freeform jazz sensibility. There's definite shades of ECM throughout, and a strong affinity with the lush, stately soundscapes of David Sylvian's Secrets Of The Beehive. From the opening bars of Happiness Is Easy, you can tell times have changed. A (possibly machine-driven) rhythm casually begins to unfurl as the song gradually builds around it piece-by-piece, with the slow accretion of spare guitars, throbbing bass and piano accents opening the floodgates to strings, organs and even a children's choir, all of which swirl together in a rich tapestry of sound. The massive, Hammond-driven stomp of Give It Up manages to turn on a dime between downcast and uplifting, while Living In Another World is one of the band's greatest soundtracks in miniature. I've always wanted to share this awe-inspiring clip3 of the band playing Give It Up live at the Hammersmith Odeon, and now is undoubtedly the right time. Check that passion! Mark Hollis don't mess around. The funny thing is, this is exactly how I used to picture him singing whenever I'd listen to the records. There's just no getting around it, you can hear it all in the voice. Incidentally, this album always takes me back to high school (circa 1996), when it was a hit of downbeat introspection even greater than the by-then-ascendant Radiohead. 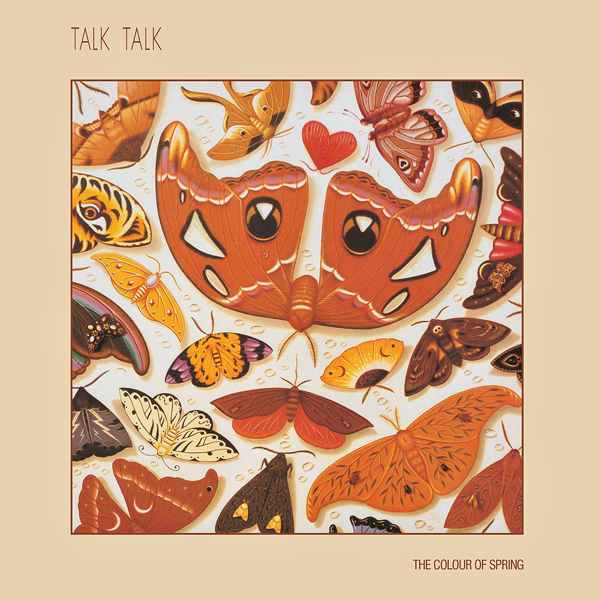 Truth me told, even now, none of these Talk Talk albums ever leave my iPod. 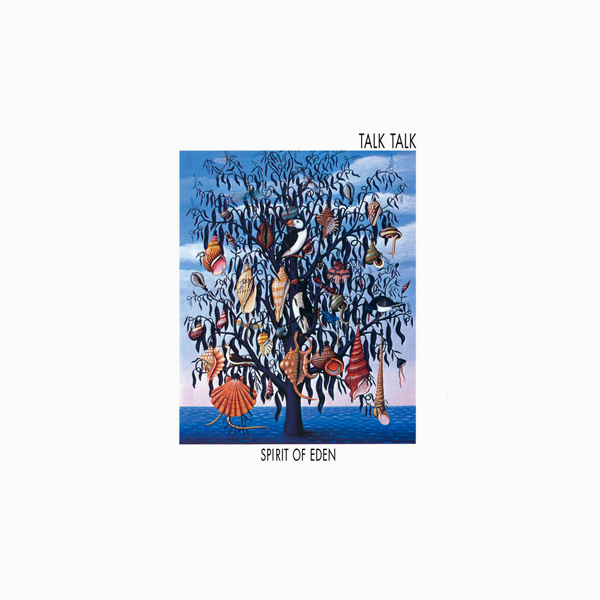 With the positively sublime Spirit Of Eden, Talk Talk invented post rock in one fell swoop. The Rainbow starts with a lonely horn and a soft swell of strings — sounds that will come to define the record — for a movement of two minutes before the plaintive guitar line kicks into gear, the arcing blues of a searing harmonica heralding a lazy, loping rhythm. The mood here reminiscent of the cinematic trip hop that groups like Portishead and Massive Attack would explore as their music took a darker, more desolate turn about a decade later (on Dummy and Mezzanine, respectively). The rolling waves of Eden creep in and out of focus on the interplay of bass and piano melting into guitar, all cut adrift on an ocean of sound where swells of organ come crashing in a rush of electricity. It's no secret that I'm an organ guy. I love me some Rhodes, and I absolutely adore the sound of the Hammond B3. This record is awash in it. Desire opens with a foreboding theme played out on a lonely organ, trading notes with ghostly guitar and piano, horns droning in the mist. Hollis haunts the tune in the quiet before the storm, and then the breaks come crashing in, mad vocals rising through the racket as guitars cutting ragged shapes in the darkness. If you're looking for the one record that really gets to the heart of Mark Hollis' greatness as a frontman, this is it. Particularly in the flowing beatless bliss of the second side, which is where the magic of this record truly lies. The gentle drone of Inheritance, slipping as it does into a shimmering climax (shades of Sylvian again in evidence), sets the stage brilliantly. Parallels might be drawn with side two of The Isley Brothers' The Heat Is On, strange as it may sound. That record's ARP-damaged soul is similarly lush and downbeat, mirroring the almost ambient sensibility of Eden's second side. Which would make I Believe In You4 roughly the analogue of For The Love Of You, with the drone of its verses culminating in the warm, spiritual glow of a protracted chorus, replete with calming organ refrain and angelic choirs in the distance. Indeed, this is positively holy music. This point driven home by the record's final track, Wealth, wherein Hollis sings in an understated gospel style against a sea of B3 organ. When it all transforms into the final progression (around the four minute mark), it quickly becomes clear that you're witnessing something divine. The group took their abstract obsessions to their logical conclusion with Laughing Stock, their storied swan song that's gone on to have lasting repercussions. This has gone down as one of the key records of the nineties, and for good reason: transcending the time and place of its origins, it remains at home in the ever-changing now. I love the very sound of this record, even if the songs on Spirit Of Eden mean more to me in the long run. The playing here even looser than before, you'd have to go to seventies spiritual jazz to find something similar. Songs like Ascension Day build on the framework of Spirit Of Eden's first side, even as they seem to deconstruct it into a blur of modal guitar. This sound also defines New Grass, with its gentle guitar lines wandering amongst tumbling breaks,5 seemingly every end left open and unresolved. The gently rolling After The Flood even plays like a fusion of all angles of Eden, a moment of culmination played in the band's new wide-open style. I'll tell you one thing, it makes it very hard to choose between the two records. 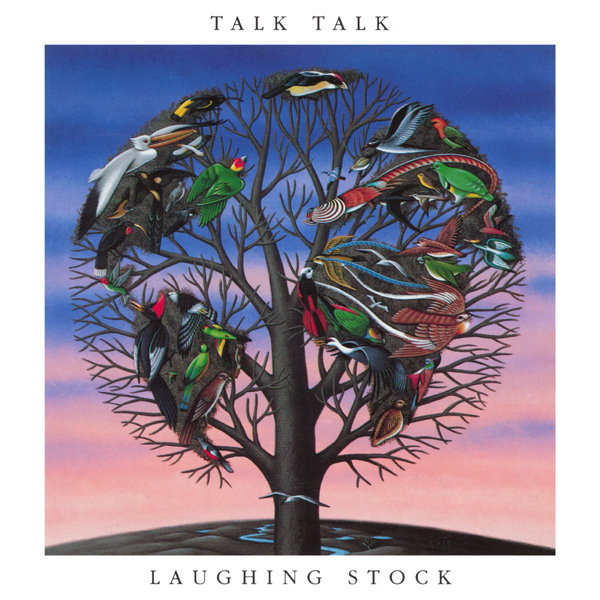 Seven years after Talk Talk's Laughing Stock, Mark Hollis delivered this solo album, which is of a piece with that record. In fact, Spirit Of Eden, Laughing Stock and this LP form something of a loose trilogy, with a sound that seems to gradually recede back into nature itself. 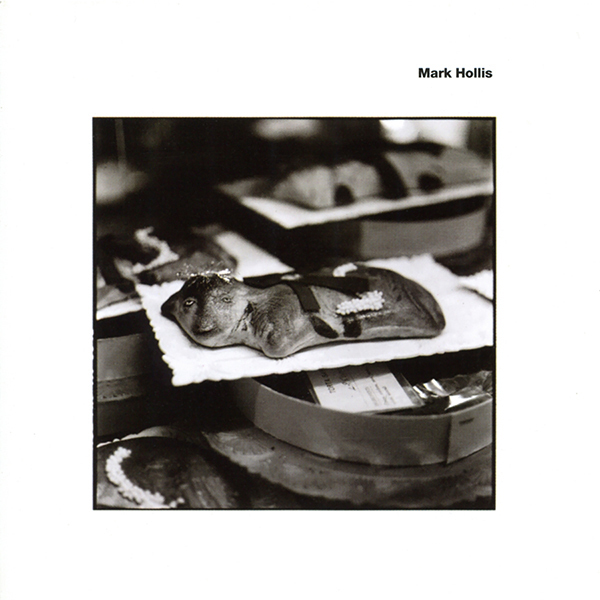 Mark Hollis is the point when it all drifts up on a gentle gust of air through the leaves on the trees, back into the calm of the woodlands without a note out of place. The man's first solo album would also turn out to be his last. In truth, he said it all here. This sparse, beautiful record is the embodiment of his oft-quoted philosophy, Before you play two notes, learn how to play one note — and don’t play one note unless you’ve got a reason to play it. The serene soundscapes of Mark Hollis seem to pick up where Runeii left off at the closing of Laughing Stock, keying into the rich seam of spiritual ambience with The Colour Of Spring and even pure jazz with The Daily Planet. It's hard to believe this record came out in 1998, but then it would be hard to imagine when it should have come out! I never hear anyone bring up Visage though, which would be the strongest comparison among the new romantics, particularly their awesome signature tune Fade To Grey. The group's sleeve art was always excellent, managing the rare feat of maintaining a consistent look and feel from album to album. Talk Talk. Give It Up. At the Hammersmith Odeon, London, 1986. Live Performance. I Believe In You was actually the album's lone single, backed by the brilliant blank-eyed riffage of non-album b-side John Cope. In fact, the asymmetrical breakbeat to New Grass would later fuel UNKLE's Rabbit In Your Headlights, from the album Psyence Fiction. Mark Hollis actually sat in on piano (uncredited) for the song Chaos, from the same album.